I’ve only recently begun to see what is meant when people use the word Beloved with a capital B. 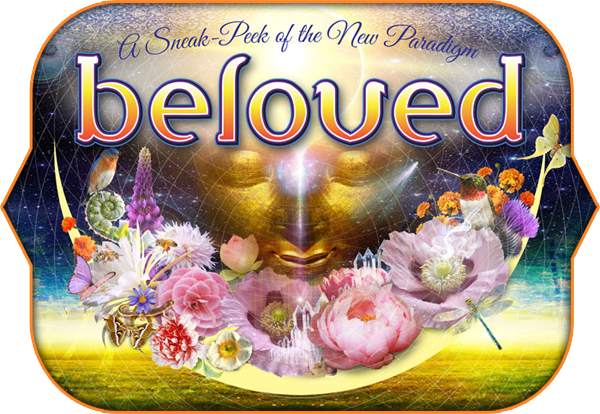 Experiencing The Beloved Festival is all about the Beloved with a capital B. You won’t find the definition as used for the festival in the Oxford or Merriam Webster dictionaries. The simplest definition of the word that most might understand is God. But not God as any one person understands God. It is God in any way that anyone of any religion understands him or her. It is God in the way that perhaps even an atheist can comprehend. And even my attempt to define it does not fully encompass all that it is. The loving vision of the festival seeks to dissolve the illusion that we are separate. The truth is that we are all one and we are all connected. As I arrived at the sacred property with my son Cato, I held within me a deep longing for my beloved that was not able to attend with me. I wanted so much to share this experience with her. The connection that I share with her is proof that truly we are not separate. I often feel her presence surround me when she is a thousand miles away. Sometimes I feel her soul press up against mine when she is not physically near. So the concept that our separateness is an illusion is not at all lost on me. She is always with me. Also though, I held within me a growing unease and worry. As I approached the parking lot, I watched my propped up cell phone looking for any sign of a signal throughout my approach. There was not a single bar of reception for thirty minutes leading up to the property, and nothing had changed upon arriving. I would be technologically isolated for three entire days, and this unease was with me as I allowed my car to be boxed in among the other cars whose drivers would be staying until Monday. I had visions of chaos ensuing at my place of business when I could not be reached by anyone. And I had to just let this all go. To trust in the Beloved that at this moment, this is exactly where I needed to be. 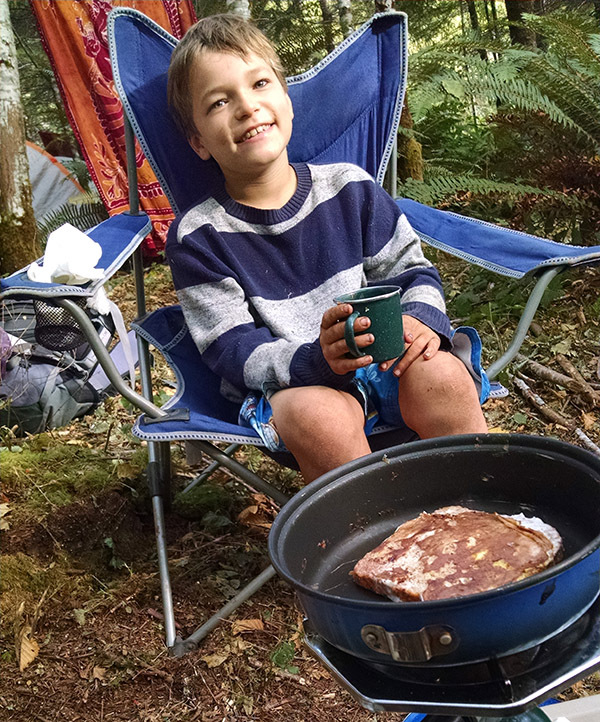 “We should just leave dad, there’s nowhere to setup our tent.” Cato said to me after about a mile of hiking through the trees and not seeing a single available place to setup camp. The place was packed, every nook and cranny brimming with tents and people. Tents pitched on severely slanting and uncomfortable looking slopes were not uncommon to see. My gut reaction to Cato’s words was to agree with him, and I had an urge to bolt back to the car before we were fully boxed in. But I knew Cato was struggling with a similar attachment as I was. He was not wanting to give up the charging power in the car for his 3DS video game. Finally, I resolved to setup camp in a small patch between other tents that was less than ideal and far from comfortable looking. I didn’t want to risk continuing to search and maybe lose this one spot that was at least better than sleeping on a slanted hill. And just as I was about to drop the tent on the ground Cato called out “Hey dad, here’s a spot!”. And indeed it was a really sweet spot. It was a nice little grassy flat with fern bushes on three sides. Not only was it cozy and open, but it had bushes that allowed us to take the advice of all the signs encouraging us to please pee in the woods. Apparently this was the first year they would be trying composting toilets over porta potties, and the solution was not as elegant as they had hoped for. So they were encouraging all of us to pee in the woods as often as we could. As I began to setup, I heard a young man over on the walking path enthusiastically declare “I totally have a network connection right here”! And for a moment, I was mentally right back where I had been upon arriving. Holding on to that attachment of being technologically connected. And then he continued, “It’s my psychic friends network connection”! And in my mind’s eye I could see the taunting and friendly smile on his face as he was joking with the person standing next to him. And though I felt a good part of him was joking with a friend, another part of me knew that he was also serious on some level. I remembered the vision of this event that we are all one. 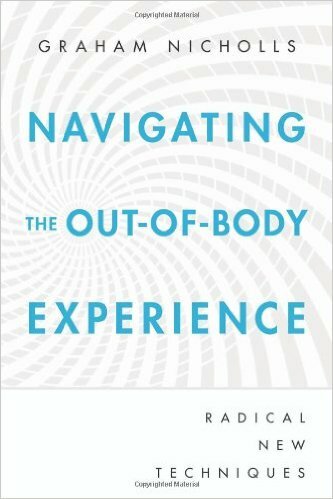 Interestingly, the book I had brought with me on this excursion was titled Navigating the Out of Body Experience by Graham Nicholls. So I took his words with levity, but with the underlying belief that there was real truth in his words too. I allowed my unease about not having Internet to subside, and to be replaced by a sense of wonder about that fact that we are all connected. With our tent setup, Cato was anxious to move around, so we made our way up the dirt path and down the other side to the main festival grounds. Along the path I remembered the challenge on the festival website to try and look everyone in the eyes. And as I did this, I noticed that for the most part, everyone else was looking right back at me and directly into my own eyes. Everyone was smiling at me and saying hello to me. Whatever boundaries or separateness existed before arriving here they were mostly gone within an hour or arriving here. The first thing we encountered upon reaching the festival grounds was the crystal and gem shop. Cato was immediately transfixed on all the stones and I just knew that he was mentally deciding which ones he was going to ask me to buy for him. He loves his crystals and gemstones almost as much as he loves his spiders and snakes and chickens. My friends Robin D and Stephanie walked by as I stood there. I knew them both separately, and yet here they were walking together. A strong and perfect reminder of that illusion of separateness as I warmly greeted them with hugs. After a quick appreciative look at the sacred fire pit, I saw Robin E over at the ice cream shop with his girlfriend, and I walked over to greet them as well. Within the course of just a few minutes I was feeling completely at home. Over the course of the weekend, I would run into several more friends, the feeling of aloneness evaporated and replaced with a feeling of oneness. Aloneness evaporated so much that I would be greeting and hugging complete strangers as if they were dear friends I had known for years. One thing I really let go of by the first morning was my need to constantly be watching Cato and worrying about his safety. He quickly learned how to get between the tent and festival grounds on his own, and for the first time ever, I allowed him that complete freedom to explore and decide for himself what he would be doing today. I watched him run off in the direction of the other kids at the kids village as I headed back to the yoga dome for a morning heart opening vinyasa flow session. This is one of the first of many times I held a vision of my beloved while practicing my own meditation. 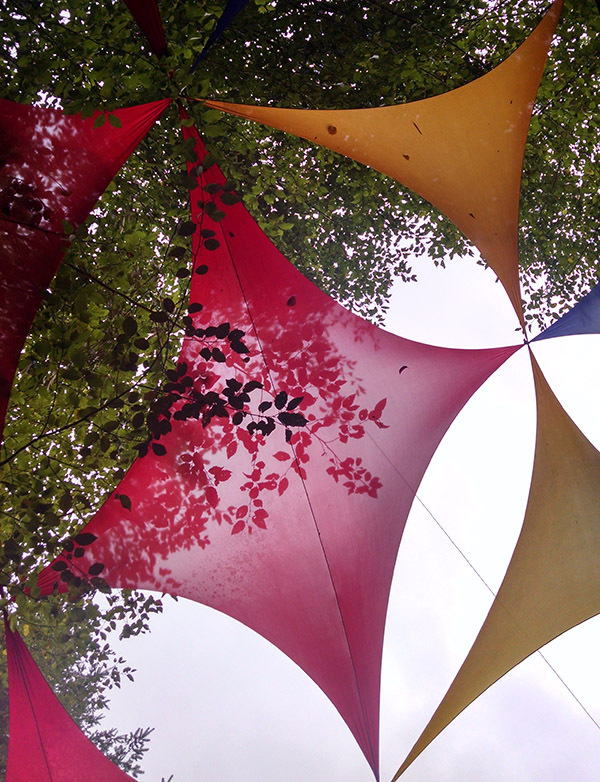 I focused on the colorful fabric above me intertwined with tree branches and leaves, and channeled that vision in her direction with the hopes that she would receive the image. Beyond my vision of and energy transmission to her, I let all my other thoughts and worries dissolve away. I noticed tattoos and body parts all around me. Many of the tattoos I encountered again throughout the weekend. They became a familiar sight, and a reminder of that peaceful first morning yoga session, bringing me back to the moment and keeping my worries and stresses in check. The session ended with shavasana (corpse pose) with the two female instructors singing in beautiful harmonies. I floated away from the yoga dome on a cloud of pure bliss and love that carried me throughout the entire day. I was deeply in love with everyone. Hours later, when I ran into my friend Marli and her new husband Jordan, she commented “You look like you just came from a yoga class!”, the bliss still obvious on my face. This picture not actually from Beloved 2015, but it does capture the essence. 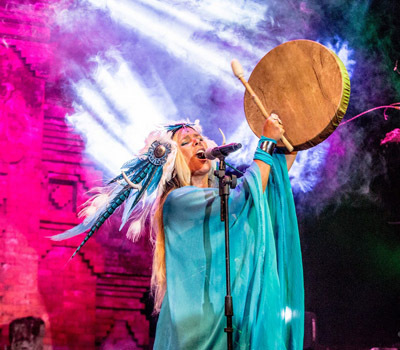 Although music was a core part of the festival it was not where I channeled most of my energy. Though I distinctly remember Deya Dova from Australia singing Bone Dance. “Remember the fire. Remember the drums. Remember to Bone Dance. There’s a blue bass booming in the bottom of the basement”, beating her drum, dancing and singing. I felt her performance at my very core, melting everything else away. The primary overpowering feeling was a desire to gravitate toward the dance floor with everyone else. This happened several times during the performances of many different musicians and styles of music. All of them with transcendent beats beckoning me forward. Later that day, I was standing next to a woman who performed a heart opening prayer and golden ribbon tying ceremony with me. We watched as a woman was being steered by her sister and several other people away from the central festival area. She was stumbling and falling down, clearly overwhelmed. She was reaching out and touching the faces of those around her and looking into their eyes as if they were the most beautiful thing anyone had ever seen in her entire life. One might suspect she had taken drugs, or had been given drugs. But this was not my primary thought. If you’ve ever truly opened yourself up to receiving love and opened yourself to connecting to the energy of the collective unconscious or subconscious, you can easily see how being in such an environment as the Beloved Festival could overwhelm someone without the use of foreign chemicals. Even I was feeling something similar to what she was experiencing, though admittedly not as strongly as she was feeling it. Perhaps she is just really good at letting go of the illusion of separateness from one another, and had done so completely on this day. The woman standing next to me shared a knowing and compassionate glance with me. Saturday evening near the sacred fire pit concluded with receiving one of the most precious gifts I could have possibly received. It was dark, and well past my personal bed time, but also well before midnight. Cato was running around and looking for one of his newest friends who he had been playing and running around with all day. And as he grew tired, he came over and crawled up onto lap. He did this not in his usually forceful way where he pushes me or plows into me, but more like a cat crawls up onto your lap. He curled up and I was holding his arm in one hand and hugging his body with my other arm. I was rocking back and forth to the music for what must have been an entire minute. Now that may not sound like much time at all, but I can assure you that 60 seconds in Cato time is like an eternity. After that, he jumped up and ran around for a little longer before asking me to walk back to the tent with him to go to sleep. Sunday morning started with French toast with hot chocolate for Cato and hot chocolate with coffee for me. This was a treat Cato had been asking me to make for a while now, and I could see the same bliss on his face that I was feeling inside myself. At this moment, however short lived it might be, we both had let go of a lot of things. Most notably the back and forth push and pull that so often takes place between us. There were no arguments or battles to win for now. We were just hanging out and enjoying the moment. And then he jumped up saying, “I’m full dad. I’m going to go now. I love you”. And then he was gone. After cleaning up, I read a few chapters in the book I had brought, Navigating the Out of Body Experience. The author was just starting to cover how we ought not to look at OBE’s as exiting our body, and more about the realization that our consciousness may actually not be attached to our bodies at all. He seemed to be speculating that we don’t necessarily exit our body in an OBE as much as we’re just allowing our consciousness to move about untethered, which is its natural state of being if we allow it to. Forgive me if I’m seeming off track a little here from the topic of the Beloved Festival. But I feel it actually does relate to the message of what most of the artists and speakers were talking about at the festival this weekend. We are all connected and we are all one with each other. There was much about the universal unconscious or consciousness being spoken of at this event. And the book I was reading was right in line with everything that was happening around and inside of me. After a morning shower, I stopped off at the care tent for a conversation with Shawn. The tent was recommended as a reference place to talk about healthy ways to discuss privilege and consent with my son. It appeared to me that the volunteer was searching for answers as much as I was. As our conversation came to close, I was feeling like I might hit the coffee stand for an iced mocha. However, I also noticed something odd happening with my vision. Shawn’s eyes were appearing double and triple to me. It seemed like I was experiencing some kind of double or triple vision. I wrote it off as being bleary eyed and tired as I walked off. On the other side of the tent before reaching the secret lake, I started to see geometric shapes in my periphery. They looked a little like I was seeing things through a kaleidoscope. I could plainly see things directly in front of me with no distortion at all, but to the side, everything was filtered through an undulating kaleidoscope. And it only became more prominent as I reached the coffee stand. If I tried looking at the shapes, they would push further away to the periphery, always staying just outside my reach of seeing their full detail. I ordered my iced drink and stood there wondering if I had come into contact with some sort of drug. But I hadn’t consumed anything since the french toast, and the double vision started before I gave Shawn a hug goodbye at the care tent. I could think of nothing I came into contact with that would have caused this sensation, beyond the extreme energy of the festival attendees all around me, along with my completely open and curious mind after reading from the Graham Nicholls book. I stood there watching customer after customer place their order and walk away with their drink, not immediately realizing they must have forgot to make my drink. As I watched through the kaleidoscope in my eyes, my consciousness seemed to pull itself further into the back of my head. I was wondering if I could have an OBE right here, right now surrounded by all of these people, and I got scared. In retrospect, the feeling I was having felt very much like the feeling I had in high school just before having a grand mal seizure. And so, rather than “letting go” and allowing this thing, whatever it was to continue, I focused all of my attention on the fact that I hadn’t received my drink yet. I began to pull my consciousness from the back of my head as I approached the counter, and asked if they had forgotten my drink. Sure enough they had and proceeded to make it quickly. Walking away from the coffee stand and sipping the coffee helped to further pull my awareness forward from the back of my head. And a few sips later, the kaleidoscope in my periphery dissipated. I’m going to be sitting with this one for a while. Where did those geometric shapes come from anyway? And why did they keep pushing away further into my periphery vision anytime I tried to view them directly? Some might say it is the epilepsy I was diagnosed with as a teenager returning to my adult body. But the most important thing that is in common with my grand mal seizure from high school is that back then, and now at the Beloved Festival I was surrounded by many people in a festive and animated environment. I suspect it was more about the overwhelming energy I opened my body, heart, and soul to than any indicator of some sort of problem with my body chemistry. It is scary and exciting to me at the same time. I think the experience may have took me a little bit more into my thoughts rather than my open heart. I was full of questions and thinking thinking thinking. And it was this thinking self that later attended a men’s discussion group on privilege and consent. And rather than feeling what it was to be masculine in my heart, I was questioning it with my mind and brought up the fact that we have more testosterone in our bodies which in some ways made us different from women. This, unfortunately was not the type of conversation this group wanted to have, and a young man across from me said as much. He said he didn’t think that’s the kind of conversations we were trying to have here. And my heart and my head were conflicted. I wanted to feel nothing but love for him, but my head was wondering why he had shut me down like that. It had been about five hours since I had seen Cato, and I bowed out of the meeting early because I felt that I needed to make sure I got some nutrition in my boy. And while I left the men’s group feeling mostly love, I couldn’t totally shake the feeling about how the one man had shut me down so abruptly. As I was standing next to my car on Monday morning, trying to figure a way to get my car extricated from all the other cars that were boxed in, I noticed the young man from the men’s group standing off to the side all alone. I glanced up at him and he said to me “Can I have a hug?”, and any tension or hurt I might have felt from the day before dissolved completely as I embraced him. This was the last hug I received before driving away. I could feel the anxiousness of wondering what chaos I would be driving back to growing inside me, but I also had a sad feeling of what I was leaving behind. I wanted to turn back around and to never leave this place. And in my heart, I hope and pray and intend that I never do. Beautiful, Richard! Thank you for posting.